Award winning vocalist, songwriter and producer Sofia Rei is considered one of the most passionate, and inventive musicians on the current New York music scene. 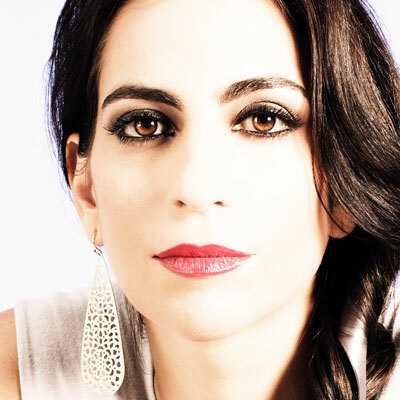 Her music explores connections between the various traditions of South American folklore, jazz, world music and electronic sounds. Originally from Buenos Aires, Argentina, Sofia ties together diverse influences in a program full of rhythmic complexity, and a melodic purity that haunts even as it uplifts. Her ensemble produces a range of textures as diverse as the cultural roots of its members, an international cast that includes some of the most exciting young talent from North and South America. Sofia is a restless artist. In a short period of time she has recorded, performed and collaborated with renowned musicians and groups such as John Zorn, Bobby McFerrin, Maria Schneider, Folklore Urbano, Frank London, the Klezmatics, Guillermo Klein, Celso Duarte, Lionel Loueke, Geoffrey Keezer, Pavel Urkiza (Gema y Pavel), Russ Ferrante (Yellow Jackets), Bob Moses, Steve Lacy, Aquiles Baez, Samuel Torres Group, Pedrito Martinez, La Bomba de Tiempo, Alcatraz, and Avantango. She toured Europe with the Grammy award winning Maria Schneider Jazz Orchestra and premiered with the group Cerulean Skies, a piece commissioned by the New Crowned Hope Festival in Vienna. In May of 2008, she was featured with vocal giant Bobby McFerrin in Instant Opera at Carnegie Hall. The piece was a fully improvised opera based on the story of the Tower of Babel. Sofia is a member of “Mycale”, a NY based international a- capella quartet with Ayelet Rose Gottlieb (Israel), Malika Zarra (Morocco) and Sara Serpa (Portugal). Mycale was commissioned by composer John Zorn to arrange, perform and record eleven compositions from his Book of Angels: Masada Book II. Their cd “Mycale: Book of Angels 13” was released in early 2010, and they have been touring internationally since then. Sofia is currently part of John Zorn’s Song Project, along with vocalists Mike Patton and Jesse Harris.